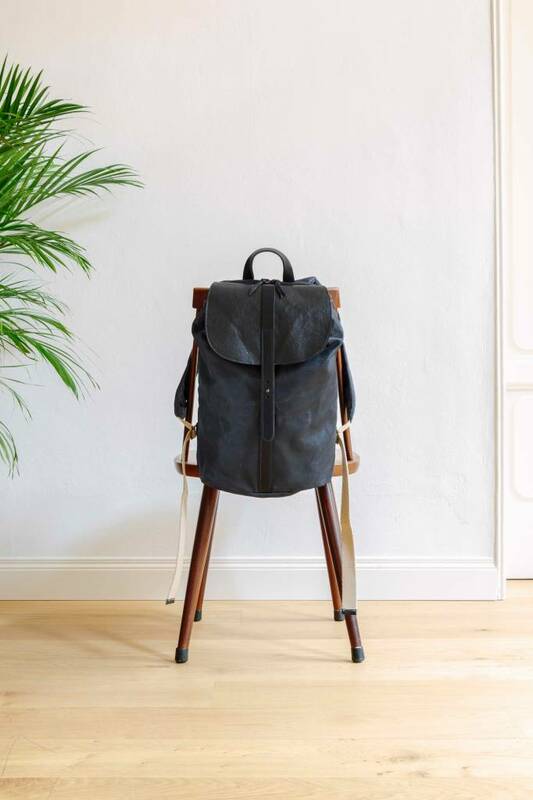 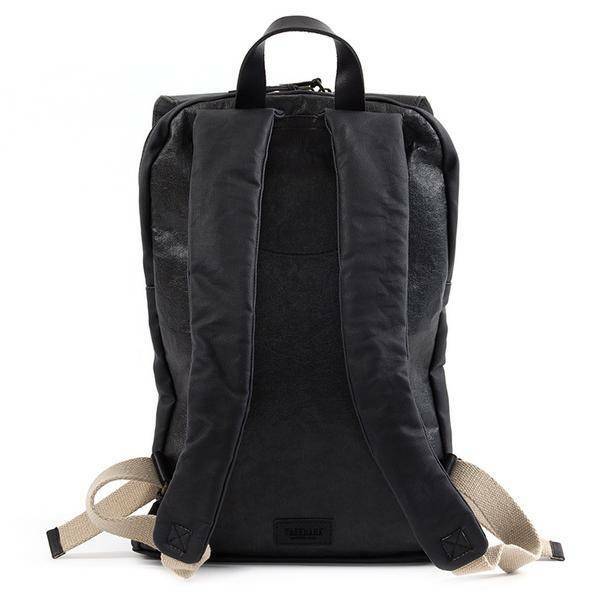 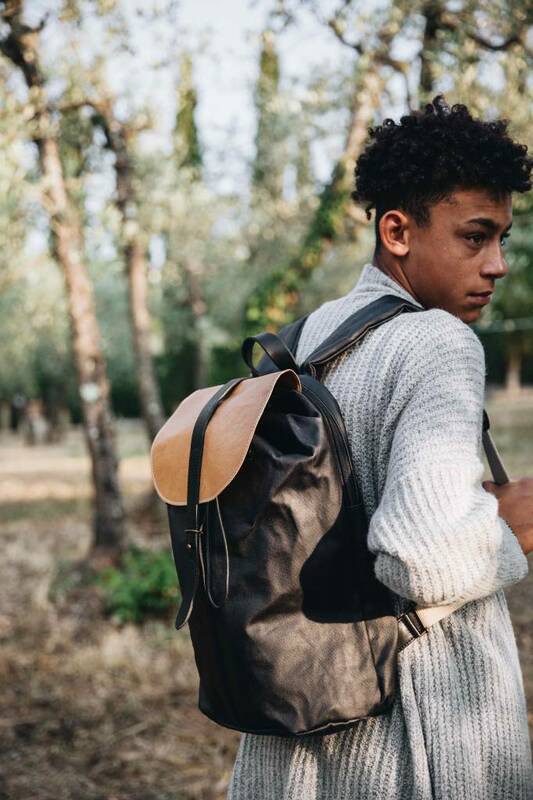 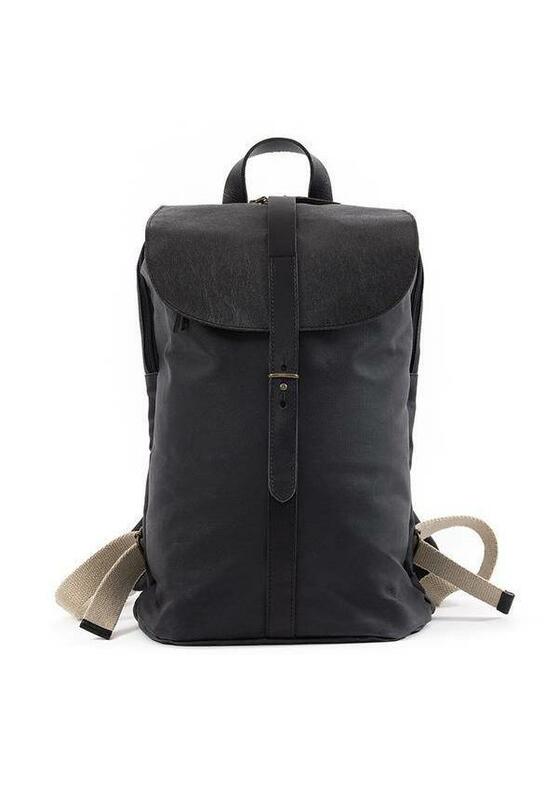 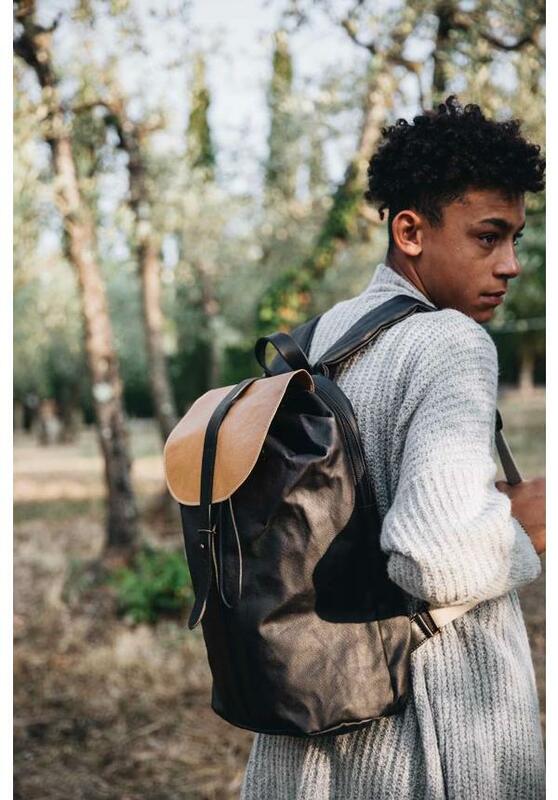 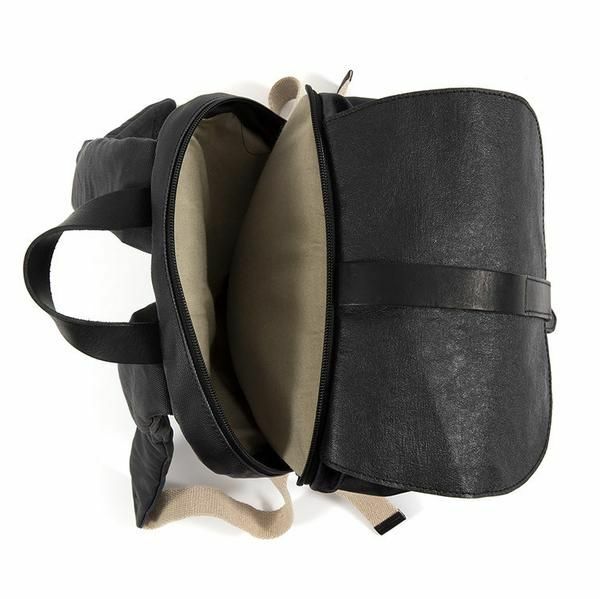 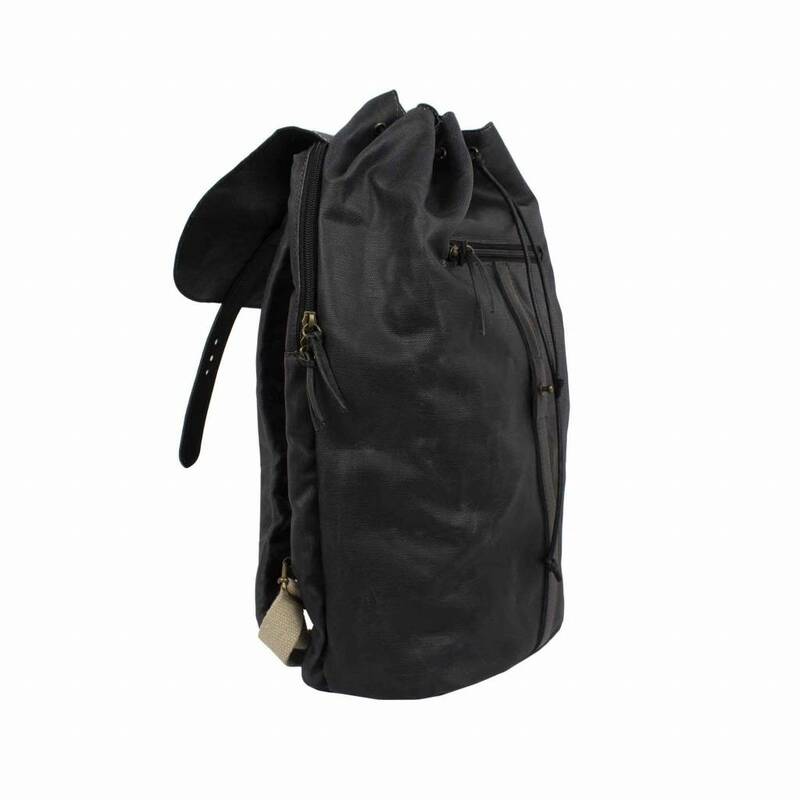 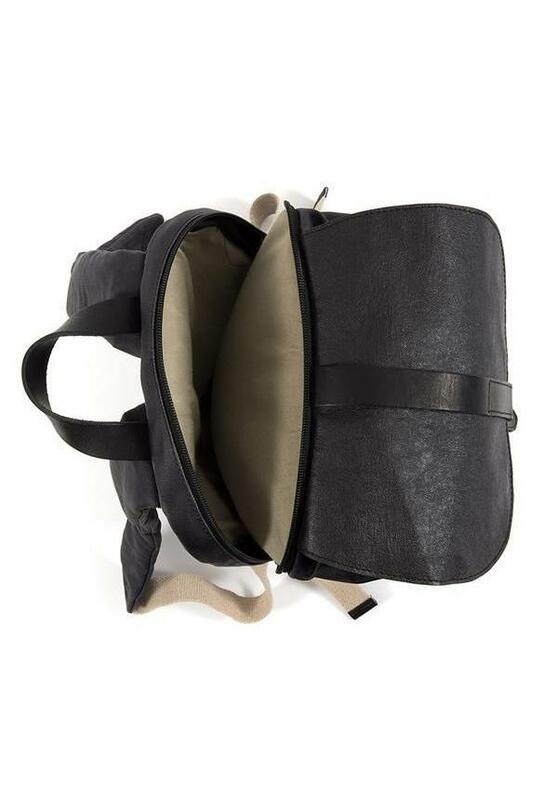 The Grag Backpack is made using a combination of waxed cotton, TEC paper and leather. 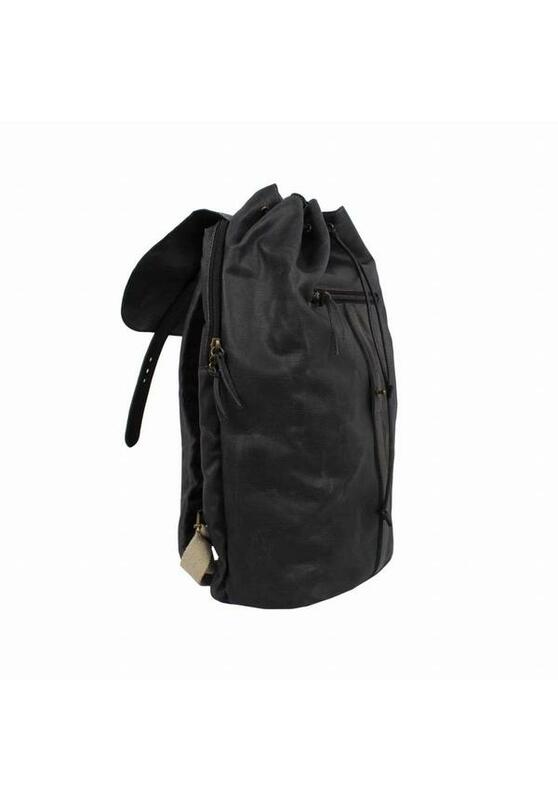 It features a drawstring body which can be securely fasten and closed with a leather strap. 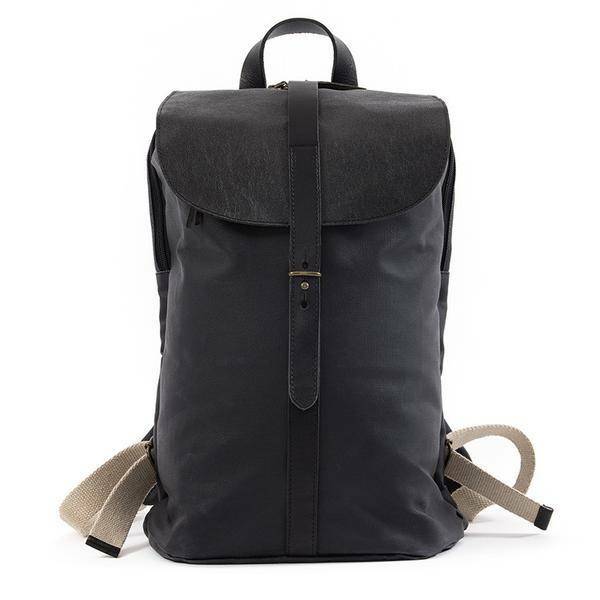 The Rucksack also features a separate inbuilt padded area for the laptop and padded shoulder straps to travel in safety and comfort. A minimalist and “techie” design approach with a go anywhere functionality. 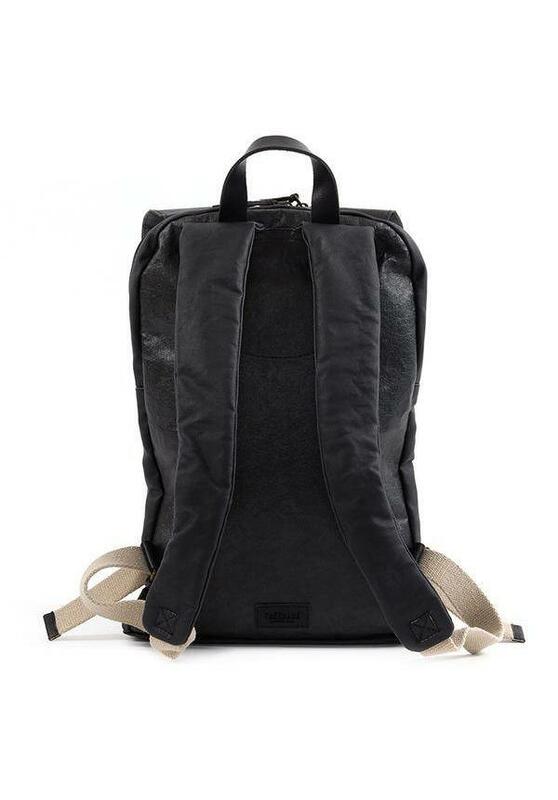 TEC paper in camel, in TEC paper waxed cotton in black and camel.